Doctors assure: every driver has problems with the back. Moreover, 30% of “steers” bring them to the stage when only long-term treatment can help. If after your trip you have a lower back, neck casts, hands are drooping, the reason – in the wrong position at the wheel. Much depends on the comfort of the driver’s chair. In all modern models of the car, the tilt of the seat back is adjusted, in many – and its height. If your chair is not very comfortable, it is worth using additional accessories. 1. Ideal and the back of the seat, which repeats the bends of the spine – this ensures the correct position. 2. Headrest – Required! It reduces the pressure on the spine and the risk of injury to the cervical department during jerks and sharp turns of the car. The head restraint needs to be adjusted so that the upper part is at the level of the nape or ears. 3. A special orthopedic cushion under the back is an excellent prophylaxis of osteochondrosis. It reduces the harm of sitting position and vibration, creates strong support for the spine, reduces pressure on the lumbar, helps maintain proper posture and relieves muscle fatigue. The pillow can be used both at home and at work. 4. 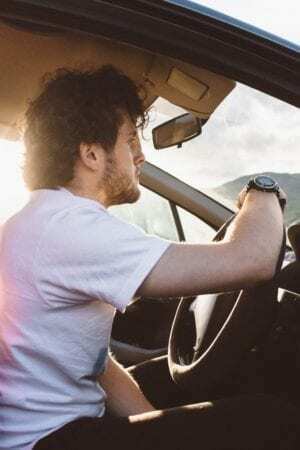 Automobile massagers – a very useful accessory. The cushions on the seats made of wooden beads or rubber spikes reduce the load on the spine. They need to be well secured so that the body does not move down the movement during movement. You can also purchase a vibromassage cap for a seat that will relieve tension in the muscles of the back and hip using vibromassage of the acupuncture points. 5. You can purchase a special orthopedic seat, having consulted with the orthopedist, who will assess the condition of the spine and give individual recommendations. Such seats are made of elastic latex and gel: this reduces the load on the bone and spine to 60%. In addition, the blood supply to the gluteus muscles improves and the pressure on the pelvic organs is reduced. In school driving, we were all taught the correct landing. Having received the rights, many of the instructor’s tips have been forgotten. But the correct posture is not only a good review and comfort. This is also the health of the back! Have you had to see drivers who could easily fall behind the wheel? So, such a “lying” landing is the most harmful. This posture overlaps the vertebral arteries, which leads to rapid fatigue, reduced visual acuity, attention and reaction. The organs of the abdominal cavity and small pelvis suffer (consequences – gastritis, cholecystitis, pancreatitis, venous stasis of blood in the small pelvis, varicose veins). Not less dangerous is the posture of the “banana”, when the driver leans to the steering wheel, stretching straight legs to the pedals. Specialists do not recommend motorists to be likened to southern fruit: this kind of planting increases the pressure on the intervertebral discs. There is another option that is preferred by confident drivers – the “left elbow on the window.” Such landing is potentially dangerous for the whole organism: lateral displacement leads to deformations in the lumbar spine and provokes diseases of the liver and pancreas! For the same reason, it is not often necessary to use armrests. Of great importance is how close we are to the steering wheel. If you move too far, the muscles of the back without support will quickly get tired. And at a remote landing, the load on the muscles of the hands and feet increases.